Sleeveless satin and organza dress with handbeaded cummerbund. Tea length. 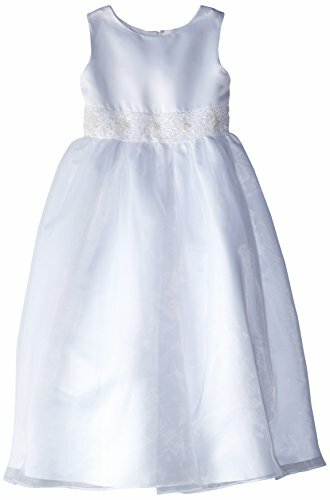 Dress styled from 100% polyester organza with tie back bow and back zipper.